All customers are not created equal. That’s one part of the message in How Companies Win: Profiting from Demand-Driven Business Models No Matter What Business You're In, by authors Rick Kash, David Calhoun. With some customers being more valuable than others it’s important to discover which are, and also to be aware of how your market is changing to understand latent, and emerging demands. The world has already changed to a demand driven economy. In order to be in the forefront and capitalize and even survive your business will require a higher level understanding of your customers and how to market to them. The Rules are changing. 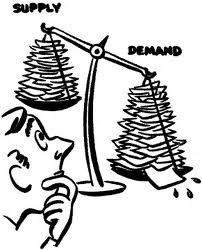 As noted in How Companies Win – Prepare for A Demand-Driven Economy we’ve been moving from a supply-based to demand based economy. 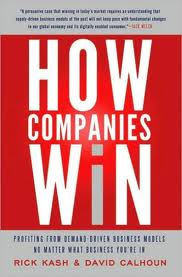 The book How Companies Win: Profiting from Demand-Driven Business Models No Matter What Business You're In, by authors Rick Kash, David Calhoun examines this and my blog specifically provides an example from the book on how McDonalds has successfully negotiated this change already. Learning, Growing and Planning. It’s a crucial element of our Gazelles business coaching practices. Companies that continue to grow look at education, training and learning as a competitive advantage.